My journey from Peace Corps Prep to the Coverdell Fellows program, and everything in between! The idea of volunteering abroad stuck with me over the years. In 2005, I applied to Knox College in Illinois in large part because it was the only institution among my school choices to have a Peace Corps Prep program (PC Prep). 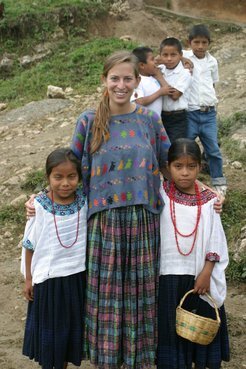 Hannah Gdalman served as a youth development Volunteer in rural Guatemala. As a freshman I intended to major in science, but was required to take a certain number of cultural studies courses for PC Prep. I fell in love with social science and ended up double majoring in Spanish and anthropology/sociology. To fulfill other PC Prep requirements, I also volunteered as an ESL (English as a Second Language) literacy tutor and helped at a local YMCA after-school program. These became great additions to my Peace Corps résumé. I got international experience during this time by studying abroad in Spain. I applied to the Peace Corps in my senior year. Before my actual interview with the Peace Corps, the dean of the program conducted a practice interview with me, so I definitely felt prepared. I was accepted to the Peace Corps and served as a youth development Volunteer in a rural village in Guatemala from 2010-12. I worked with teachers at three middle schools to implement a life-skills curriculum. My side projects were primarily focused on girls’ and women’s development, so I ran a few girls' camps and one amazing women’s group. After completing service I traveled around and ended up working for a small education nonprofit in my home city of Chicago, and after that for an urban winery. Having caught the Peace Corps travel bug, I took some leaves of absence to travel around Southeast Asia, India and Europe during this time. I also spent a few years living in Barcelona working for a study abroad program there. After a few years of this back-and-forth, I started to think about graduate school. I heard about Illinois State University’s Stevenson Center for Applied Community and Economic Development Fellows Program through a listserv. After reading more about the program and listening to student podcasts, I eventually decided to apply. The staff at the center were so helpful to me during the application process. I’d been away from school for years so their support was very encouraging. I also liked that the program had a strong practical element, and the financial package enabled me to attend grad school without taking out loans, which was huge. I currently have a paid graduate assistantship, which helps cover my cost of living, and a full tuition waiver. 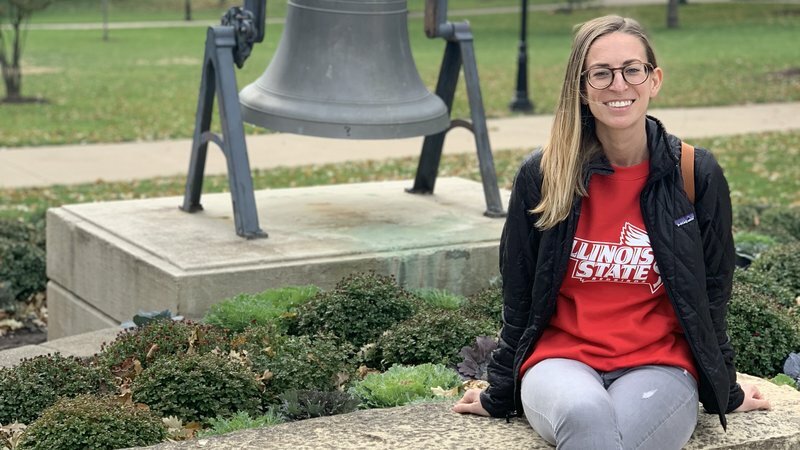 Hannah is a Peace Corps Coverdell Fellow studying sociology at Illinois State University. I began the M.S. in sociology program this past August. I’m able to relate what I’m studying back to my time as a Volunteer quite a bit, especially in our two program seminars. One big benefit of this program is getting to be part of a multi-disciplinary cohort of returned AmeriCorps and Peace Corps Volunteers. It’s a great group of people who all have interesting backgrounds and points of view. We take two courses in our specific disciplines and two courses together. Being part of the group helps us all cope with the stress and craziness that comes with graduate school. I’m hoping to center my thesis around “voluntouring” or study abroad. After I complete my M.S., I’d like to work in global studies administration in some capacity. One day, I’d like to own a hostel somewhere on the Central American coast. It’s crazy to think that ten years ago I was an undergraduate in Peace Corps Prep, nervously awaiting my invitation letter. The Peace Corps was certainly a challenging experience, but the rewards far outweighed the challenges. So many of my experiences and travels have been informed by the Peace Corps. I feel fortunate to have discovered the Stevenson Center’s Coverdell Fellows program at Illinois State University, and am excited to further my education in development and beyond. 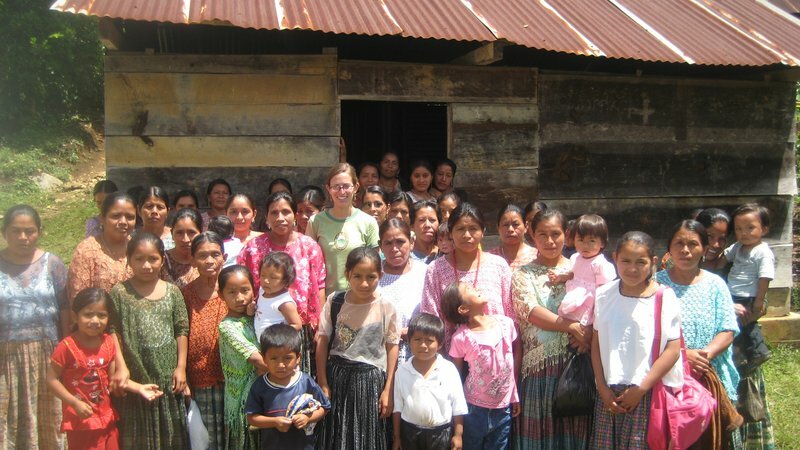 Hannah organized a women's group as part of her focus on girls' and women's development in Guatemala. Hannah Gdalman is currently a Paul D. Coverdell Fellow at Illinois State University. Previously she was enrolled in the Peace Corps Prep program as an undergraduate at Knox College in Illinois before serving as a youth development Volunteer in Guatemala from 2010-12.